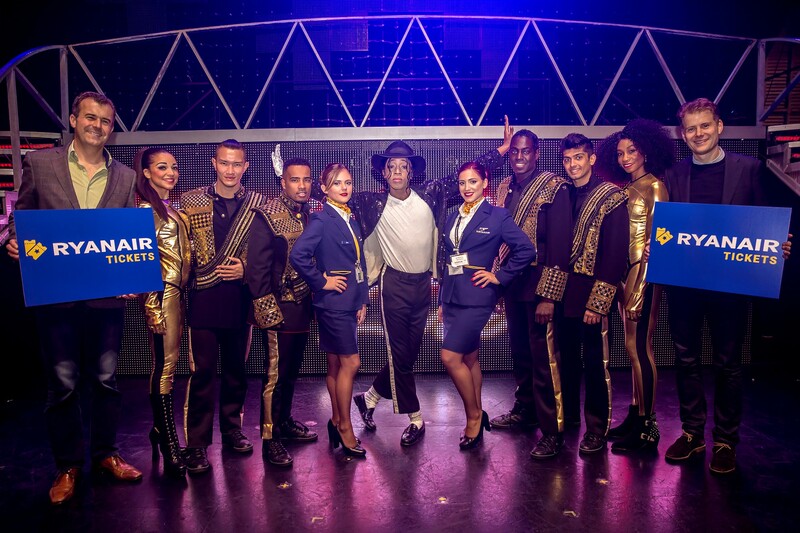 Ryanair, Europe’s №1 airline, today (09/11/2017) launched Ryanair Tickets, in partnership with Coras, selling the best theatre, music and sporting tickets across Europe on the Ryanair.com website. Ryanair’s 129m customers can now purchase tickets for the biggest shows in the West End of London, both directly via Ryanair Tickets tickets.ryanair.com and through the Active Trip page, matching the date and destination of their trip. Ryanair Tickets’ live music roster starts with London’s celebrated ‘Live at Chelsea’ series, on sale from November 10th, with tickets for more theatre, live music and sporting events coming soon. Customers can purchase tickets for all events in 7 languages (English, French, Spanish, German, Italian, Portuguese and Polish) and 3 currencies (Euro, Sterling and Złoty) with more to follow. This is Ryanair’s latest digital initiative under year 4 of its “Always Getting Better” programme which also includes a best-in-class personalised website, a new Ryanair Rooms website, Apple Pay integration, long haul Air Europa flights on sale on Ryanair.com and a new partnership with the Erasmus Student Network. “Travel plans increasingly start with the purchase of an event ticket, whether it be for a Premiership football match or for a favourite music artist. Ryanair Tickets offers customers a more convenient and personalised experience to purchase the best event tickets across Europe. To celebrate we are launching a special introductory offer on all theatre tickets booked before December, meaning customers won’t have to pay the high fees charged by other leading ticket agencies”.